Who recommended the Turnpike speed limits? New permanent signs will be a welcome change from orange cones. I learned a long time ago not to believe everything I read in the media. News media reports are mostly accurate, but they often contain mistakes. Still, this confusing report strengthens my view that the most sensible choice (at least for now) is to keep the current 45 mph limit. Construction has been going on so long, it's hard to remember when it started. As Friday’s paper reported, City Council has been asked to approve new speed limits for west Oak Ridge Turnpike (SR 95) — to take effect after TDOT’s seemingly interminable widening project is finished. This portends an end to the construction that we west end residents have endured for the last 2-1/4 years (reportedly, TDOT has bought the new signs and is ready to put them in the ground), but I think the new limits recommended by TDOT don’t make sense, and I want to share the full story of my concerns. 50 mph for about 3-1/4 miles west of that spot, to a point 380 ft west of Oklahoma Ave. Frequent changes in speed limits can be confusing to drivers, who may not see all of the signs giving notice of different limits. 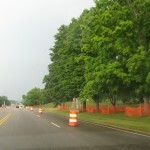 I pointed out that just last year the City Council had heard from residents living near Hwy 95 on Southwood and Sweetgum Lanes (west of the gatehouse, near Wisconsin Ave.) who were concerned about safety for residents and noise from the roadway, particularly after completion of the TDOT project to widen that section from 2 lanes to 4. We discussed the fact that highway noise is much greater at 55 mph than at 45. After considering the residents’ concerns and receiving a report from the city engineer on his evaluation of the situation, City Council voted to lower the speed limit near their homes from 55 mph to 45 mph. At first I intended to proposed an amendment to the proposal to simplify it by specifying just two speed limits: 35 mph in the areas where TDOT recommended 35 or 40, then 45 in the areas recommended as 45 or 50. However, I abandoned that idea after seeing the level of opposition by city staff. Due to past litigation about speed limits, city staff doesn’t want to change speed limits without doing an engineering evaluation first, and it has been suggested that the evaluation can’t be done until after the completed project is open to traffic. Considering that the new road configuration will be only slightly different from the 4-lane configuration that existed before the project (in spite of the long project schedule, the only substantial changes are addition of a median and those bike lanes and sidewalks), I believe that the city has all the necessary data for an evaluation now (notably, the engineer has many years of traffic counts and knows the physical layout of the road, including intersections and driveways). Reportedly, TDOT’s recommendation is based only on physical design of the road — things like grades, curve radii, and sight distances. If TDOT engineers can make recommendations on that basis before construction is complete, surely an Oak Ridge engineer can look at that same information, along with factors like turning traffic at businesses and residential driveways, and make an even better recommendation before the reconfigured road reopens. I think there is ample time to do an evaluation before the Oct. 11 second reading of the proposed new ordinance. However, if no new study is going to be done, I think the next best plan is simply to keep the 45 mph speed limit that’s on the books now. Accordingly, I voted against the proposed new speed limits. What’s next now that the “Orange Route” is dead? It’s true — as the Knoxville News Sentinel predicted Friday morning, TDOT killed the Knoxville Beltway project! This means it’s now up to the region to find creative solutions to congestion on the highways — but it should mean that money that might have gone to the road project will now be available to help implement those solutions. I’m pleased to see the Orange Route proposal come to an end, but I’m not real surprised. Last year, in a presentation on Knox metro transportation plans, this project was listed under the 2034 timeframe — about 25 years in the future. I figured then that it would never happen, particularly in view of society’s recognition that to achieve energy independence and address “greenhouse” warming we need to greatly reduce our reliance on gasoline. The bypass was supposed to relieve congestion on I-40 and I-75 by diverting some thru traffic — particularly on I-75 — around Knoxville. The trouble with that plan is that much of the traffic congestion on Knoxville’s interstates is due to local traffic, not long-distance travelers on the Interstate. I presume that’s one of the main reasons why the Tennessee Department of Transportation’s new analysis found that the beltway wouldn’t divert enough traffic to serve its purpose. Furthermore, there’s plenty of evidence that new highways in urban areas actually generate new traffic due to the growth (urban sprawl) they induce. Now that the state isn’t planning a new road, I believe the region needs to push for things like more and better local transit, HOV lanes (or possibly express lanes for through traffic) on the Interstates, promotion of carpooling, more of those Intelligent Transportation Systems (ITS) signs that give the travel time to various destinations, other ITS measures, and improvements to local roads so drivers will have more route choices. I hope the whole Knoxville region can work together to get the resources allocated to these kinds of changes — and to make them work once they are funded. What does this mean for Oak Ridge, in particular? I’m not sure, but I think it would have been a mixed bag, probably with more minuses than pluses. On the minus side, being “outside the beltway” (to borrow a phrase from Washington, DC) is is a minus for local economies, as limited-access highways can form significant physical and psychological barriers to local travel. However, the Clinch River (which is far more attractive than a highway) already separates Oak Ridge from Knoxville in much that same way, so a new road might not have significantly reduced Oak Ridge’s access to the Knoxville market. The Orange Route exit at the Pellissippi Parkway just beyond of Solway (see map) would have adversely affected Oak Ridge by forming a preferred location for retail business that is outside the city limits, yet very close enough to divert customers away from Oak Ridge (like moving Turkey Creek closer to Oak Ridge). Anderson County would gain an additional Interstate exit that would not really increase Oak Ridge’s access to the Interstate, but where new businesses could generate new tax revene for the county (a small part of whch would come to Oak Ridge). Perhaps most importantly, the Orange Route would have reduce driver interest in using Oak Ridge Turnpike as a de facto bypass. Without the bypass, I guess I may have to laughingly agree with the jokesters who have suggested that the most important purpose of traffic enforcement cameras is ro prevent people from using Oak Ridge as a bypass. Phew! This year’s Secret City Festival was a big success but it’s a relief that it’s over, and a relief that we made it through last evening’s marathon City Council meeting. 1. Mayor Beehan and Mayor pro tem Miller were both re-elected to two-year terms. I supported Beehan (he was elected unanimously) but I was one of the three who voted for David Mosby for the pro-tem position, as I saw him as the better choice to provide leadership for the City Council and the City in the absence of the mayor. Several people contacted me over the weekend and on Monday to urge me to support Miller, citing the help she has given them in getting city staff support with issues related to things like animal control and code enforcement, but that type of constituent service (which any Council member can provide) is not what I see as needed in a mayor pro-tem. In some of our other business, Council approved new one-year lobbying contracts — with Bill Nolan Associates to represent the city in Nashville and with Ferguson Group for representation at the federal level. I opposed both. One reason is because I was irritated that Council members had been uninformed about what the lobbyists were doing for the city over the 6-month contract until the 11th hour before this meeting. (OK, 3 pm Monday wasn’t the very last hour before the 7 pm Monday meeting, but there was very little margin…) I hope for better communications in the future. Also, I believe that the benefits we get from the federal lobbyist could be provided at less cost by other mechanisms (such as a combination of “Washington insider” newsletters to provide current information on issues and opportunities, plus grad student interns here in Oak Ridge to do legislative research, “legwork” on grant applications, and drafting of letters and discussion points for officials to use). Also, we received a letter from TDOT’s Gerald Nicely regarding options for the next phase of the widening of State Route 95. The exciting part is that TDOT says that a redesign changing the “typical section” from a 48-ft depressed grass median to a 12-ft paved median (this is being called “Alternative 2″ — basically, this is the change from a “rural design” to an “urban design” that some of us had been asking for) could be accomplished without delaying the September 2009 bid opening, but the City would have to compensate TDOT for any additional costs of construction. Other alternatives include a total shift of the road alignment away from the current right-of-way (this is being called Alternative 1 and is favored by some Southwood subdivision residents, but it’s impractical, and would result in a long delay in the highway project) or (in what’s being called Alternative 3) making small modifications to the “rural” design to reduce its impact (steeper slopes, modified ditches, and guardrails to reduce encroachment on the neighborhood and avoid some loss of vegetation, and lower speed limit to address noise and safety concerns). I think the new “urban” option is the right direction to go — I’m delighted that TDOT is revisiting its plan and proposing what I think is a “context sensitive” solution for this highway segment. City Council probably will have a work session to discuss the proposal on Monday July 6, followed by a special meeting to act on it on Monday July 13. Added June 24: I forgot to say that City Council approved on first reading (second reading will be July 20th) an ordinance to change the speed limit from 55 to 45 mph on the stretch of Hwy. 95 that passes the Southwood subdivision. The lower speed limit would apply all the way west to a point 200 ft west of the western entrance to the Rarity Oaks subdivision. Among other things, a lower speed limit should improve safety near the subdivision and reduce noise for residents. TDOT has supplied notes on a recent meeting between the agency and Southwood subdivision homes, held in State Senator Ken Yager’s Harriman office on May 15. Health, noise and safety- Proposed road will not leave much room between houses and traffic lanes. The shifting of lanes towards houses will generate more noise and long exposure to it will affect health. Existing tree lines in front of houses will be cut to build the roadway and slopes. Removal of this natural barrier will open the possibility of vehicles running over the slopes and landing on the backyard of houses. Guardrail does not provide good protection. A noise wall or any other kind of wall between roadway and houses will be an appropriate safety device. Buying houses close to the roadway is another alternative. Roadway cross section, median ditch- Plan shows a median ditch from old Sweet Gum entrance to Southwood entrance but there is no ditch in front of Sweet Gum subdivision. Begin ditch form Southwood entrance to save property and trees. A flush median in this area can be an alternative. Would like an urban typical adjacent to the subdivision. Roadway alignment- All ROW for building the road is taken from homeowner’s side whereas empty Federal land (DOE property) is available on the other side. TDOT can work with the Feds to secure property on the north side. Communication gap- The subdivisions were built after the acquisition of ROW by TDOT. The developer Mr. J.W. Gibson did not pass the information about imminent road construction to them. The City of Oak Ridge on the other hand issued permits to build houses. The owners requested an electronic copy of the final deed between Mr. Gibson and TDOT. Delaying the project- The project took several years to reach this stage. It can be delayed further for the changes they are requesting now. Consideration should be given to any change that would lessen the project impact on the subdivision. Example: speed limit in the vicinity of the subdivision. There’s some favorable news on the turnpike widening project. City Council members learned last evening that the project was not included as a stimulus project, but is instead expected to be funded in TDOT’s FY 2010 work plan. That reduces the urgency a bit and gives TDOT a chance to improve the design. Also, Southwood residents who spoke at the City Council meeting got the Council’s and staff’s attention, and I expect that things will be done to determine the extent of the impacts on that subdivision and look for ways to mitigate the effects. People are griping (for example, on the new Sustain Oak Ridge Google group) about the Hwy 95 widening projects (the ongoing one from Illinois Ave. to Westover Drive and the next phase from Westover Drive to the Hwy 58 interchange). These are not City of Oak Ridge projects, but are Tennessee Department of Transportation (TDOT) projects (when complaining about public issues, it’s useful to know which unit of government you have an issue with), and it’s clear that the city has little influence over the way TDOT designs and builds its road projects. However, there has been strong city support for completing both of these projects, as they have been on the books for a very long time and they will not only eliminate some hazards but will also result in extending new utility lines (such as water mains) to the west end of the city, including Rarity Oaks, K-25, and Rarity Ridge. One thing I’m concerned right now is the design for the next phase. This is a high-priority “shovel-ready” economic stimulus project, based on TDOT design work that was completed 9 years ago, so work is slated to start soon. TDOT’s design for this segment calls for a 48-foot wide median and a wide cleared right of way adjacent to both sides of the highway, and extensive cutting and filling to create an elevated roadway — think of an Interstate highway or the Pellissippi Parkway to imagine what is being planned. The grassed median alone will be wider than the entire current roadway. There will be no more trees to buffer between the Southwood subdivision and the highway or between the cleared properties in the Horizon Center and the highway (someone I know said “all trees that you can see from the road will be gone”) and the brick entryway to the Westwood subdivision probably will be removed. The principal concern that I have (and that I have heard from other residents) is that the overall width of the proposed design, including a 48-ft median and very wide clear zone on both sides of the travel surface, does not appear to be necessary (it greatly exceeds what exists on the higher-traffic segment of Hwy 58 west of the interchange) and will result in excessive environmental impacts, unnecessary construction and maintenance costs, and long-term detriment to efforts to maintain a “human-scale” community design that fosters pedestrian travel and community cohesion. (5) loss of aesthetic qualities. From a cost perspective, I think it is clear that a wider swath increases the costs of both construction and ongoing maintenance. Reducing the width of this project to make it no wider than the segments immediately to the east and west (that is, the Hwy 95 segment currently under construction and the Hwy 58 segment from the Hwy 95 interchange west to the Clinch River) should free up some funds for other uses, both now and in the future. There has also been community concern about potential impacts to the “checking station” structures (listed on the National Register of Historic Places) on either side of the roadway west of Westover Lane and to the nearby cemetery, but I understand that these features would be protected under TDOT’s design. Additionally, I told you that residents of the Westwood subdivision (entered at Wisconsin Avenue) are concerned that the project would require removal of the brick “gate” structures at the entrance to the subdivision, and you explained that this is unavoidable. 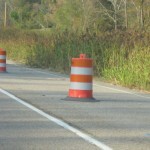 I recognize that funding priority for this project depends on the availability of an existing design, but I also know that even a “final” design often requires many changes, and that it is far less costly and time consuming to change an engineering design than it is to modify a road once it has been built. I believe that the requested modifications to reduce overall project width could be made within the context of the overall design (and thus without jeopardizing the overall project package). Additionally, I find it frustrating that I and other citizens registered these same concerns (orally and in writing) when a public meeting was held on this project about 8 years ago, but we did not receive responses to our expressions of concern — and the design remained essentially unchanged. I hope that changes can be made now to improve this project while reducing its costs. I forwarded your e-mail to the Department’s Headquarter Design Office for assistance in addressing your concerns regarding the improvement of State Route 95 from State Route 58 to near Westover Drive in Oak Ridge. As you are aware, a corridor and design public hearing was conducted on September 21, 2000. A review of the public hearing comments was made on December 27, 2000. Information based on the transcript reveals the hearing was attending by twenty-one people with six people making comments to the court reporter, two making written comments and one letter. You provided the letter and a comment to the court reporter. The project has an approved environmental document. The project is designed in accordance with the Department’s standards and guidelines for a four lane divided facility using the typical sections as proposed in the approved Advance Planning Report. Comments from the public hearing and local government official regarding the addition of bicycle lanes and turn lanes have been incorporated into the present design. The facility will provide a bicycle lane on the roadway shoulders in each direction. The typical section utilizing the 48 foot median is the normal typical used for a four lane divided facility. The 48 foot median is provided to allow for separation of opposing vehicles and allows sufficient area at median openings for safe vehicle storage making left turns and u-turns. The clear zone for this roadway is normal for this type of facility and utilizes the roadway shoulder for bicycle lanes. The roadway ditch provides for drainage. 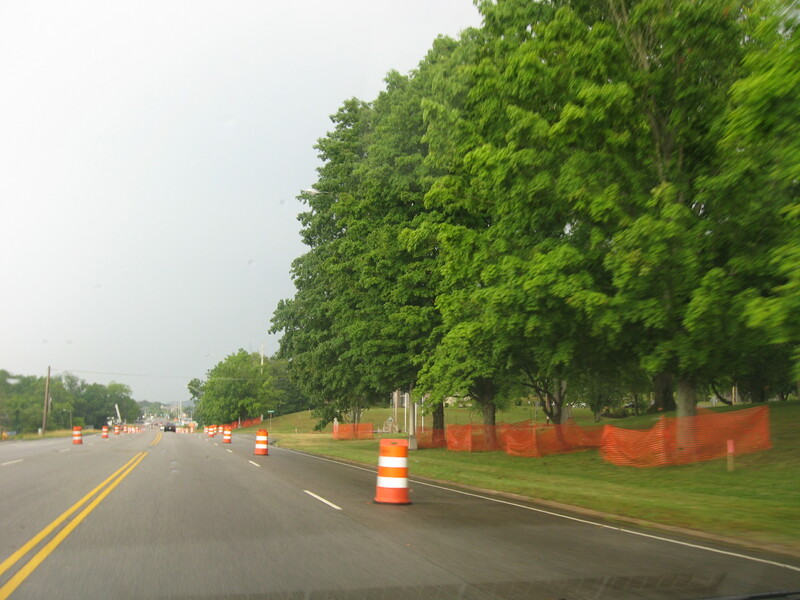 The section of State Route 95 from Westover Drive to State Route 62 was designed with a narrower typical section because the area was established more urban and densely developed. The design also avoids the historic guard towers “checking stations” located near Westover Drive. improve safety and enhance aesthetics will always be considered. 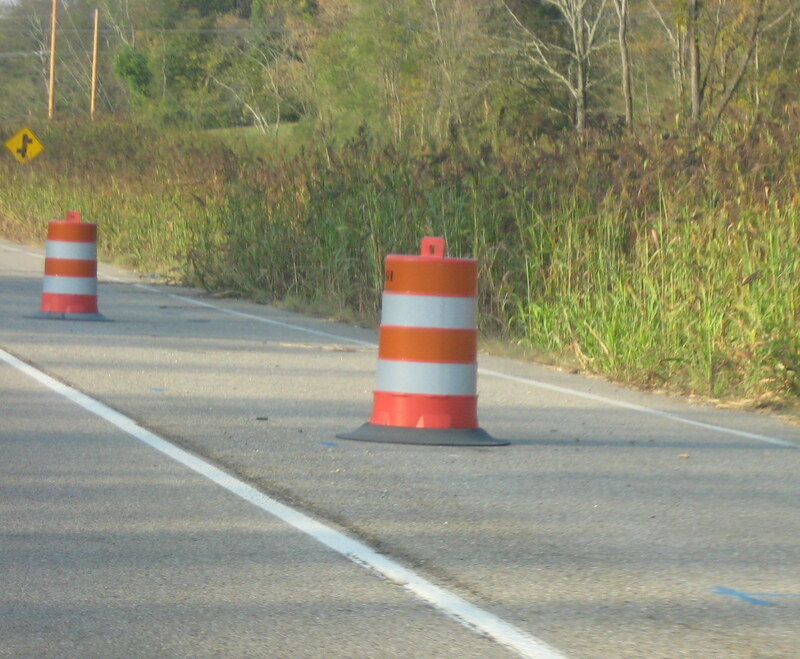 EQAB has recently learned that the American Recovery and Reinvestment Act of 2009 (ARRA) will provide funds for the Tennessee Department of Transportation (TDOT) to begin construction of Phase 2 of the State Route 95 Highway Improvement Project. As you may know Phase 2 covers the area from the West Guard Tower near Westover Drive to the SR 95/58 interchange. Members of EQAB reviewed the plans for this project. As a result of our review we would like to share some observations and concerns about this project. The design for Phase 2 is based on a standard TDOT rural section design. As proposed it will have a cross section similar to an interstate-class highway with two traffic lanes in each direction, wide shoulders to accommodate bicycles and pedestrians, and a 48-foot depressed median for drainage. This design will result in clearing as much as 250-350 feet of right-of-way prior to construction. We are concerned that this construction will result in the destruction of a large area of natural habitat . At a time when City Council has tasked EQAB with developing a sustainability plan to reduce the city’s carbon footprint and help Oak Ridge become more environmentally friendly, construction of such a roadway is viewed by our board to be wasteful of natural resources and does not set a very good example of our commitment to a more sustainable future. The cost of such the proposed Phase 2 project is also wasteful of monetary resources at a time when these resources are becoming far more scarce. One reason we believe Phase 2 is wasteful is that Phases 1 and 3, which Phase 2 is sandwiched between, are both significantly more narrow urban sections. A rural section situated between two urban sections has limited benefit to the overall traffic flow patterns in this area. Between 30-90 additional acres of forest would be needlessly razed to accommodate the rural highway section versus the urban section. At ~$30K per acre for unimproved buildable land in the West End, the value of this lost land, assuming the area abutting the highway does become completely residential, would be between $1 million and $3 million. This would be an absolute loss, since the commercial value of a deep median is essentially zero. If some of the land along the highway became light commercial instead of residential, the lost value could exceed $6 million. The carbon sequestration value of the lost standing timber would be roughly $120-360K. The broad shoulders and deep median buy us absolutely nothing, cost the City quite a bit in lost land etc., and cost the State quite a bit more in construction expense as well. The members of EQAB are of the opinion that the Phase 2 design is incompatible with the City’s land use plans for the west end of Oak Ridge. With the development of Rarity Oaks and Horizon Center this area will not remain rural for very much longer. The build out of Rarity Oaks will ultimately make much of the area adjacent to the south side of the right-of-way residential. Similarly, the planned development at Horizon Center and Parcel ED-6 will bring a mix of commercial, industrial, and various density residential developments to the northern areas. We believe consideration of these factors necessitates an urban design to ensure compatibility with the future use of this area. An urban design would also be more compatible with non-motorized human users (i.e., bicyclists and pedestrians). The original public meeting for the Phase 2 project was held almost nine years ago in September 2000. A lot of things have changed in the intervening years; unfortunately the design for Phase 2 has not been altered to account for or safely accommodate these changes. Although we realize this project is being pursued on an accelerated schedule required by the ARRA to secure funding, we believe these concerns warrant a reexamination of the application of a standard design that since it’s first proposal has been superceded by changing conditions on the west end of town. The members of EQAB believe it would be to the benefit of the city, its residents, and future growth to explore the possibility of altering the proposed design to the proven, existing urban design that is more compatible with current conditions in the city. To accept this project because the money is there to buy an elephant when we only need a horse will not help our community’s effort to establish itself as a sustainable community.